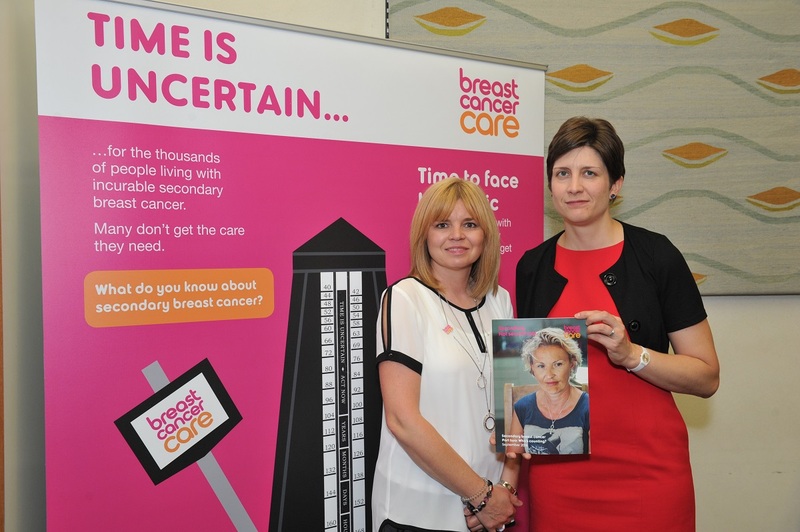 Alison Thewliss, SNP MP for Glasgow Central, met with Breast Cancer Care in Parliament on Wednesday 12 October to pledge their support for the charity’s campaign to ensure people with incurable secondary breast cancer no longer get second-rate care. A survey of people with incurable breast cancer by Breast Cancer Care revealed just over a fifth (21%) of people who previously had breast cancer are first treated by their GP for another condition. More than four in 10 (42%) do not feel their overall care is well-managed and well-coordinated. This suggests people living with incurable breast cancer are not getting the care and support they need. In addition, a report from the charity reveals that, despite it being mandatory since 2013, a fifth (19%) of Hospital Trusts are not collecting any data about the number of people diagnosed with incurable breast cancer. And almost half (47%) are not recording the numbers fully. Ahead of Secondary Breast Cancer Awareness Day , attended Breast Cancer Care’s parliamentary event – hosted by Sharon Hodgson MP, co-chair of the All Party Parliamentary Group on Breast Cancer and new Shadow Public Health Minister – to meet women living with incurable breast cancer and call for an end to second-rate care. “It is so important to show my support for women living with incurable secondary breast cancer. It is absolutely vital that this Breast Cancer Awareness Month people with incurable breast cancer are not forgotten. It must be made a priority that everyone diagnosed and living with the disease is counted. “We are extremely grateful to Alison Thewliss MP for joining us ahead of Secondary Breast Cancer Awareness Day to show his/her support for our Secondary. Not second rate. campaign, improving care for incurable secondary breast cancer patients.